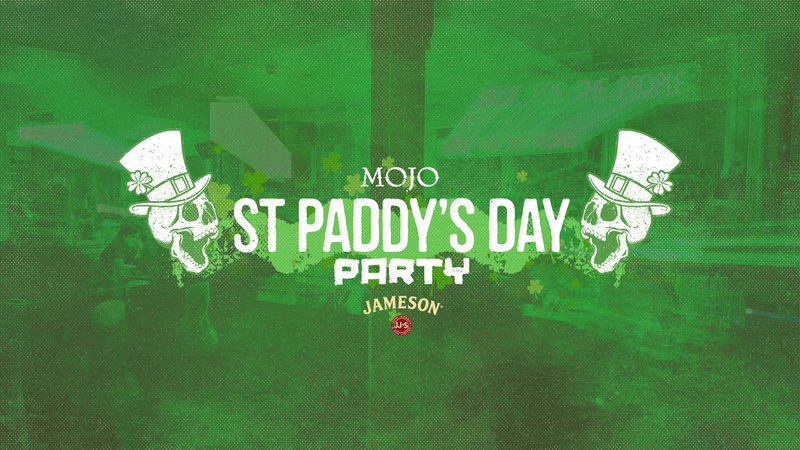 This year MOJO will be hosting a St Paddys Weekender, where Irish celebrations are not just reserved for Sunday 17th!! We're opening our doors from 3pm in the afternoon and teamed up with Jameson Whiskey to have shots lined up down the bar for you to join! We'll also be having a massive party on Saturday 16th to bring in St. Patricks Day the way it was supposed to, in a drunken haze covered in shamrocks! So make sure you get on your best green attire and make your way to us for a proper St Paddys weekend with some seriously decent booze and classic MOJO tunes!! The Stables, Liverpool, L1 4LG.